Maybe the process wasn’t broken, but there is always room for improvement! As a participant in the district fund creation process, that much was clear to Chris Franco of King County’s Finance and Business Operations Division (FBOD). Customer complaints about the length of time it took the County to create new accounts to receive tax dollars for schools, transit and other special districts made it a clear opportunity for process improvement. 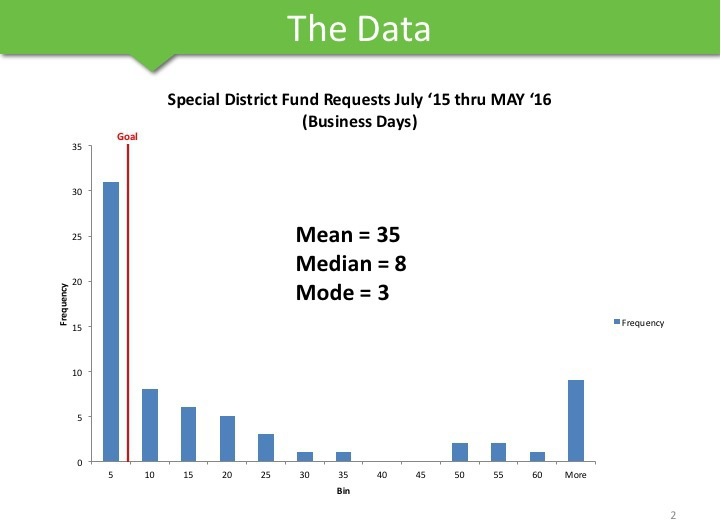 But what was the going on in the district fund creation process that slowed it down? That’s what Chris and others at FBOD weren’t clear about, so they opted to learn more by conducting a Process Walk. A Process Walk is an educational tour that follows the route a “thing” or unit of work takes as it goes from start to finish. The whole team of subject matter experts—the people who do the work—walk the process together and ask specific questions of each other to clearly understand how it flows. 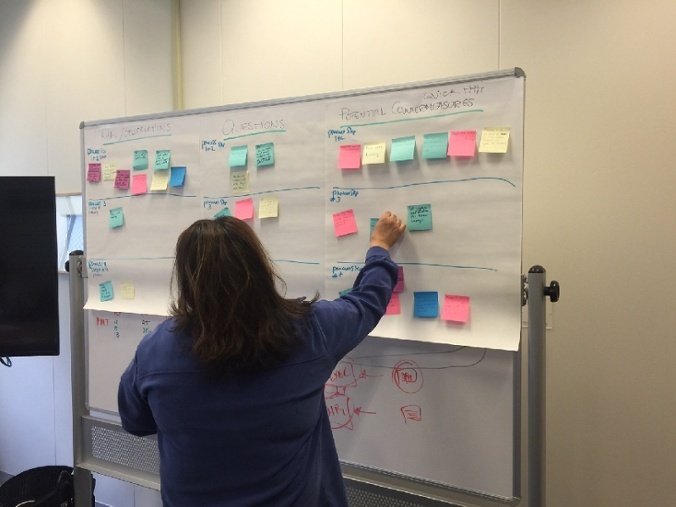 As the team learns together on a Process Walk, assumptions are busted about the process. 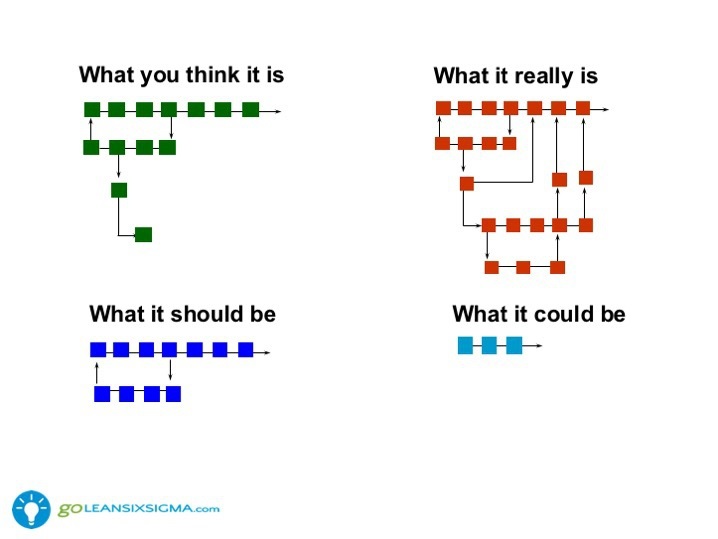 Often people think they know a process or can just refer to the written procedure (if it exists) for an accurate reflection of the real process. Yet processes morph quietly and sometimes invisibly over time.  Written policies and procedures are outdated and do not reflect changes. In addition, steps can become meaningless but are never removed. For example, workers in a process may not know why a certain step is required—a certain review signature, for example—or who uses a field on a form. It may be that those elements served a purpose at one time but no longer do and can be removed, thereby improving the flow of the process. The real benefit is that a Process Walk helps those that do the process understand what is really going on in the process today. That shared experience creates a mutual understanding of the current state of the process, buy-in for the ultimate outcome of a Process Walk—and agreed upon improvements to the process. As Chris Franco started considering conducting the Process Walk, he knew that pre-planning was key. The process spanned several work units and the managers in those units would need to support the Process Walk and the resulting improvements. He also had a logistical limitation: A Process Walk normally takes three to five consecutive days but his Process Walk would be limited to one day due to other work priorities. That required scoping the process down to a maximum of eight interviewees. Scope the process down to a reasonable size for a day-long Process Walk and delay discussion of other processes—different customers and different actions such as deleting accounts—until another time. Interview customers to agree on the key customer requirement, which was turnaround or cycle time for an application to be processed and fund created. 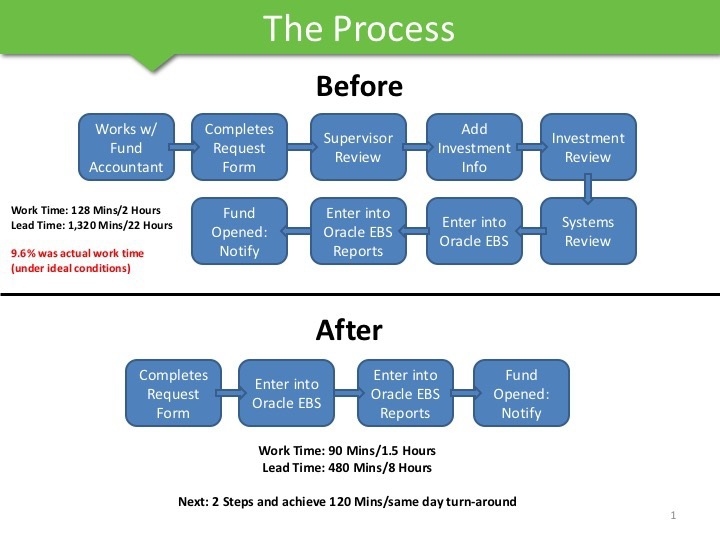 Create a problem statement that identified a focus on cycle time or the time from when the application for a new fund is received to when it is created and ready to receive funds. Gather data on the current state of the process, which showed some significant outliers and a median turnaround time of 8 business days. Develop and agree on a target for the process—in this case, same day turnaround or a reduction of seven business days for the customer. Create a high-level core process map from end to end that also identified the individuals to be interviewed during the Process Walk. Prepare the Process Walkers and interviewees with ground rules including maintaining a focus on the process, not the people and not correcting interviewees. Distribute Process Walk interview sheets to capture key process steps and data for each interviewee. All that planning paid off when the Process Walk kicked off in the morning. The participants may have been a bit skeptical about taking a full work day to walk a process. They may have been stressed about taking time away from their full in-boxes to participate. But they all knew what to expect and had a clear schedule of activities for the day. The team of Process Walkers interviewed the participants in succession, from the first step of the process to the last, capturing data that would set the stage for targeted improvement discussions. They were sure to thank each interviewee and allow them an opportunity to offer their ideas for improving the process, as well. The walkers debriefed afterwards to capture observations, questions and potential rapid improvement opportunities or “quick hits” on sticky notes on flip charts while the learning was still fresh. As they began reviewing those quick hits, the owners of a few steps in the process began asking: “Why am I seeing this? Am I really necessary in this process? Can I just be notified later?” Because of the busy managers’ schedules, sometimes the new fund account application would wait to be reviewed by a manager for at least a day. Even under ideal conditions, the Process Walkers discovered that the time from submission of an application to notifying the customer that the fund was created took approximately 22 hours. With the full support of the managers owning three key steps in the process, the team agreed to either remove them or move them to later in the process. Altering those steps in the process reduced the turnaround or lead time from 22 hours to just 8 hours and the time the application actually was worked on from 2 hours to 1.5 hours. 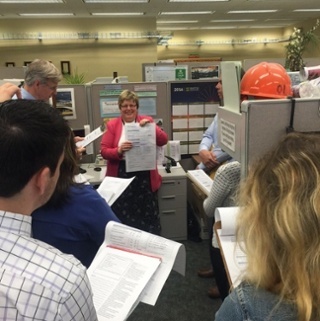 The King County team experienced the power of a Process Walk in building a unified understanding so that improvements can be implemented rapidly. As a side benefit, team members also engaged with each other across functions in a new way as they learned and solved problems together. “Partnering with Integris to conduct our division’s first major Process Walk was one of the best things we’ve done as a division in the last five years,” said Chris Franco.